Climate change with its ecologic and economic consequences is one of the major societal challenges. Sustainable strategies have to be globally developed to define measures for the protection of the sensitive climate system. As a prerequisite it is necessary to have a deep understanding of the complex environmental processes that contribute to climate change. Researchers of the DLR Institute of Atmospheric Physics could now provide an important contribution. With the simulation system EMAC (ECHAM/MESSy Atmospheric Chemistry) the chemical composition of the atmosphere from 1950 to 2100 could be reconstructed or forecasted. The exact knowledge of this development is important because the atmospheric chemistry interacts with the climate. The model data show how changes of single atmospheric constituents influence the climate transition. The detailed description of the atmospheric composition is a particularity of the climate-chemistry model EMAC. In addition, the modular model was coupled with an ocean model to consider the influences of the global seas in a comprehensive way. More than two petabyte of climate data could be produced by model simulations. They are now available to the climate research community. The elaborate simulations took more than six million processor hours on the super computer of the German Climate Computing Center DKRZ. The results were realized within the national initiative ESCiMo in collaboration with eight research units and universities under the leadership of DLR in Oberpfaffenhofen. ESCiMo data will contribute to future reports of IPCC and WMO on the development of the ozone layer. First results emerging from the data could be already published in scientific journals. With long-term simulations DLR scientists could show that the ban on ozone-destroying hydrofluorocarbons was an effective measure. After ozone depletion rapidly progressed in the 1980ies, the ozone layer is supposed to reestablish after 2035. The results are supported by satellite measurements of the last three decades. The researchers also used the new climate data to understand unusual measurements taken by the research aircraft HALO (High Altitude and Long Range Research Aircraft) in 2012. At that time air masses with high ozone concentrations showed up during flights through the southerly margin of the so called Asian summer monsoon anticyclone at 13 km altitude. This finding was contradicting previous studies that reported low-ozone air masses which are generated by rising warm air during the rainy season. The ESCiMo simulations could now explain the results of the HALO flights. It could be clarified that the ozone-rich air originated from the stratosphere and not from near-ground layers. The new climate data will also help to find out the role of water vapor. 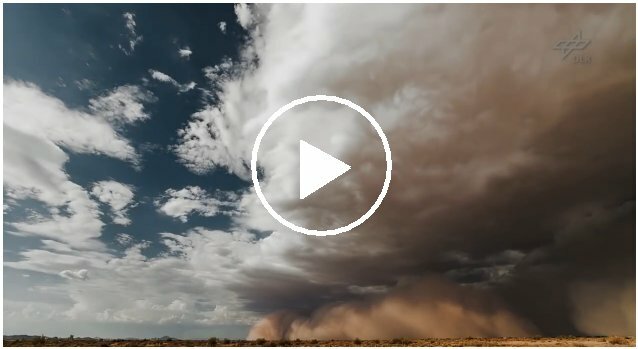 After volcano eruptions or El-Niño events which can trigger extreme weather, scientist could now realize a very strong or very weak inflow of water vapor into the mid atmosphere. This anomaly has an impact on the temperature in several atmospheric layers and therefore influences the whole climate system. Single factors and interactions are now subject to further research.